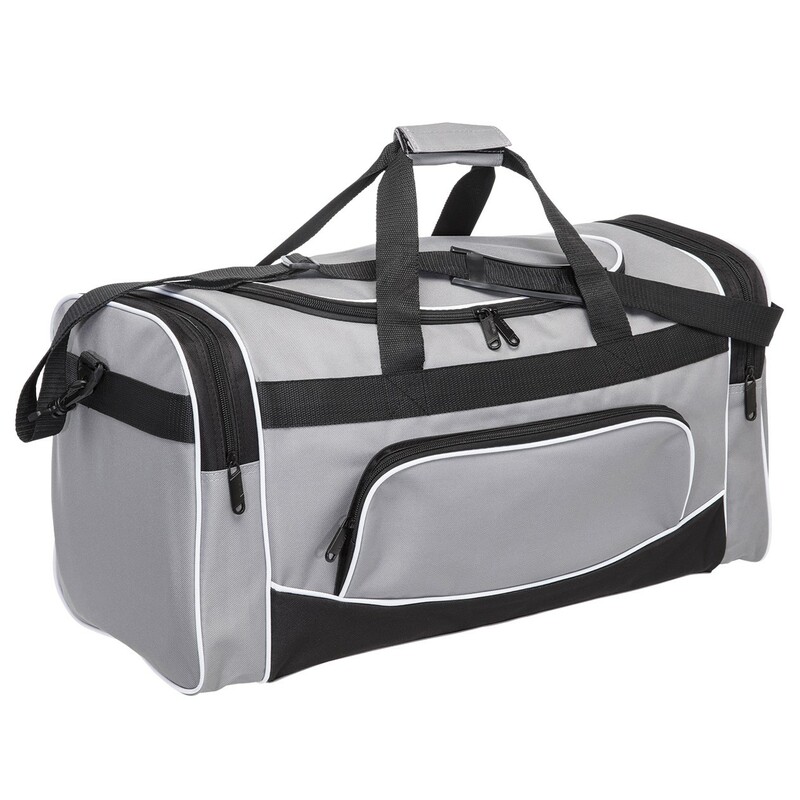 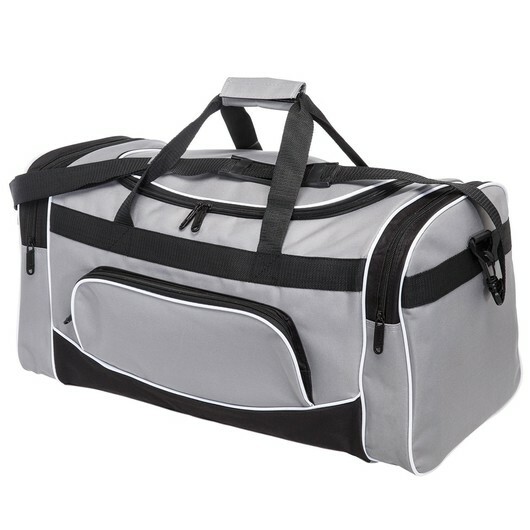 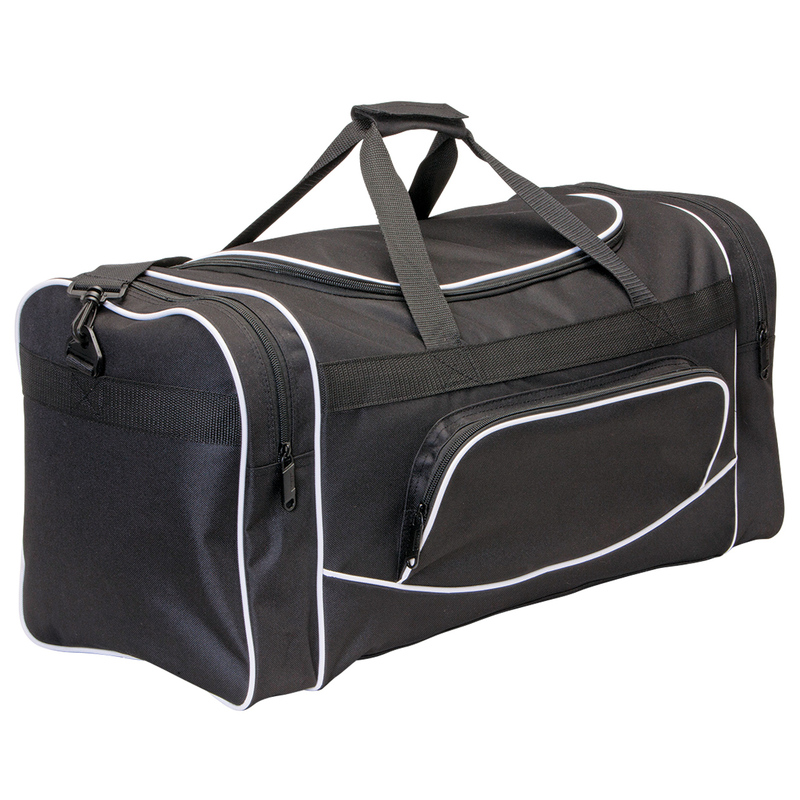 A spacious sports bag that is perfect for a trip to the gym, or just traveling around, this duffel bag will keep all your essentials safe in style! 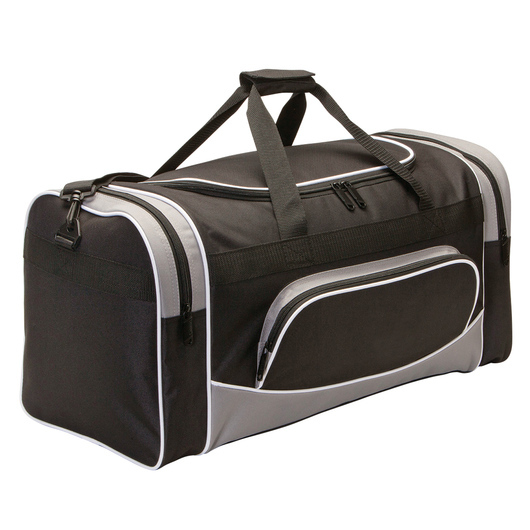 Refined as a quick gym bag or travel bag, you can throw plenty of items in here! 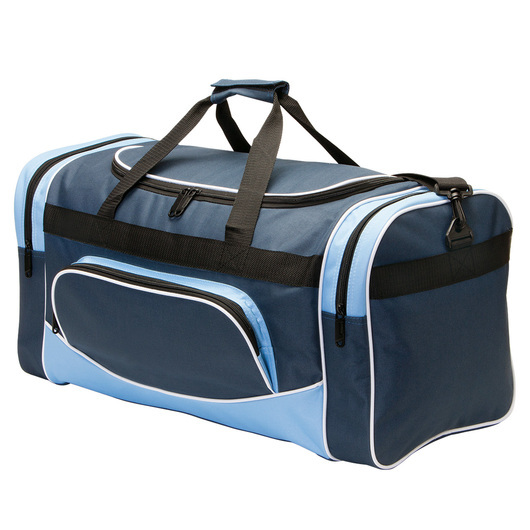 You can fit shoes and towels easily. 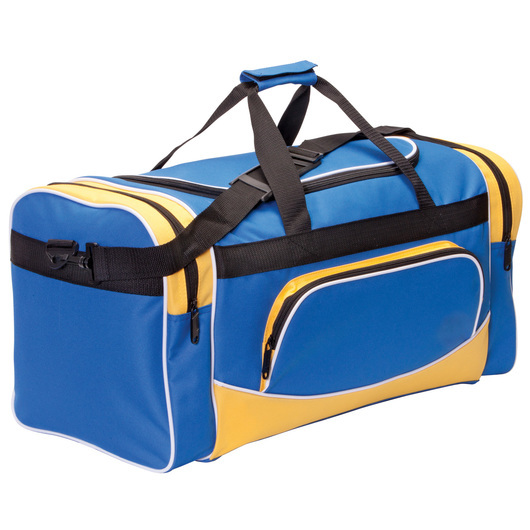 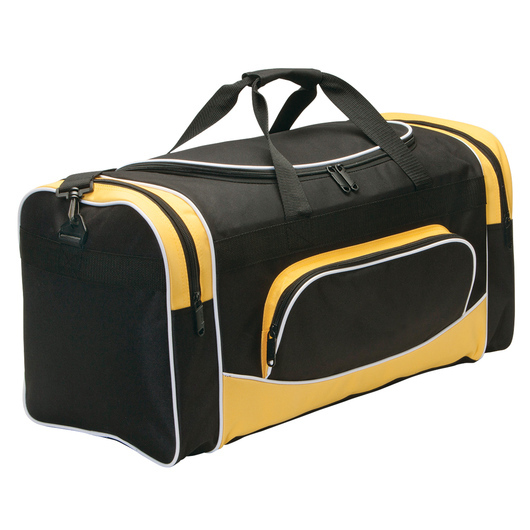 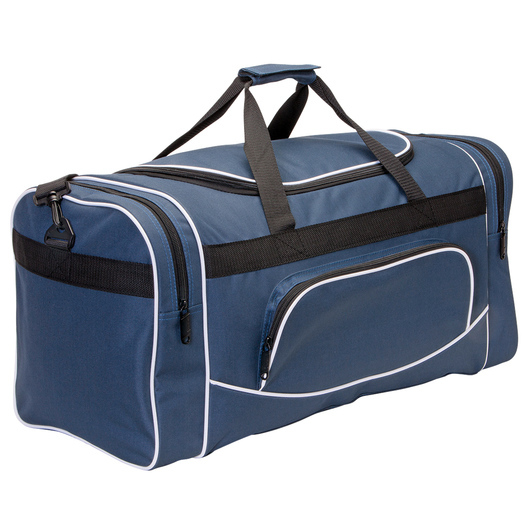 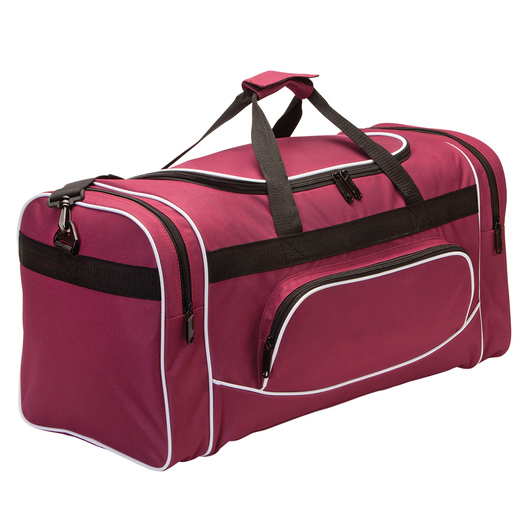 Designed for durability from 600D polyester fabric and has 47 litres of carrying capacity. It features a U-shaped opening to main compartment, front zippered pocket, zippered end compartments, webbing handles with velcro cuff, removable adjustable webbing shoulder strap, studded base for durability, a baseboard, and solid metal zippers to each compartment.